Wow! What more can I say that can’t be found above? Fabulous interview, ladies! I’m dashing off to download! Thanks, Patricia! Hope you love it! Karen, your blew your first interview out of the water, girl. Way to go. And Diane, what a fantastic first guest for Karen to use as her guinea pig. A brilliant interview with two very brilliant people! Karen’s amazing, right? I think I’ve mentioned that before, maybe??? 🙂 She made me look great, didn’t she???!!!! How did I miss this post yesterday? And HOW did I not know about Diane’s books and the new Reacher novel? Karen – I think you did a great job with this interview! I was cracking up the whole time, but I also got some very useful information. I’m joking, of course, and extremely jealous of your friendship with him. And of his with you, to be quite honest! Yeah! Go, Diane, go! And Karen great job – Oprah could use come pointers, don’t cha know? Great Launch party. Wishing you both tons of success! 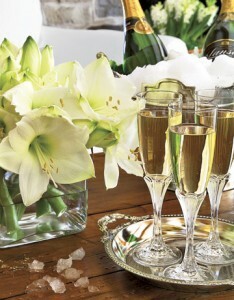 Hmm, all I see around here are empty champagne glasses. Wish I could’ve been here for the party. Guess I’ll have to go by Don’t Know Jack so I can get in on the fun! Hurry, Lynette! We’ll get another bottle for you! Karen and Diane, this is such a fun interview! Congrats on the release of Don’t Know Jack! Sounds like a great thriller. I’m in the middle of reading Carly’s Conspiracy, and you got me hooked, Diane. Can you believe that during the move (still in the process of moving), I misplaced the charger to my Kindle? Well, yay, I found it yesterday, so I can get back to the book! I’m looking forward to reading your other books, including Don’t Know Jack. I wish you much success with your writing. Lynn Kelley recently posted..Princess Kandake – Released Today! Thank you, Lynn. In the middle of everything you’ve got going on (including MOVING?????) you’re reading my books??? WOW!!! How cool is that!!??!! What a fun interview! A friend of mine gave me the #2 in the Reacher series. I totally love it! This book should be amazing! Great job, Karen! Your mouth to God’s ear, Julie. I sooooooooooo hope that happens!!! Thanks! Karen and Diane, you are both such wonderful ladies. I love love love this interview. Karen, thank you for hosting Diane and letting us to know more about her and the books. I’m off to Amazon to get my copy of Don’t Know Jack. That’s so cool, Angela! Thanks! Congrats, Diane. Great interview, Karen. What an exciting new series! Thanks, Deb! Appreciate all the great support! I LOVE suspense novels and cannot wait to dive into Diane’s work. Thanks for letting us join you for what felt like a real live chat! August, if Karen was my sister, I’d be at the top of the best seller lists for sure! Thank you August! I love hearing that because that is what I was after. I’m so happy you enjoyed the interview. You sure you don’t secretly work on the Today Show, Karen? That was an awesome interview! 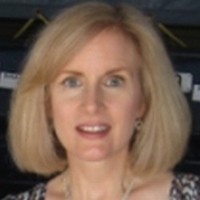 I love Diane Capri, Jack Reacher, Lee Child AND mystery/suspense novels! Looking forward to this book and the future Hunting for Jack books! Marcia, you’re a slave driver! LOL! Working’ on it! I’m loving this interview Karen, the “oh, I’m too shy to come out in public” dear heart, you are rocking it! And so is Miss Diane. What I love about this book is the idea that any story can be told from so many points of view, that these stories seem to be in our social DNA and we love hearing them over and over again. Really great job, my hats off to both of you. Maybe we’ll see Karen on the red carpet at the Oscars, hmmmm? Glad you’re enjoying the book! Will someone please get this woman her own talk show? And hats off to Diane! May all your dreams come true! I hear there’s an opening where Oprah used to sit…. 🙂 Thanks for the well wishes, Mike! What a terrific interview. I see a new career beckoning Karen. And how marvellous to ‘see’ Diane. Recently I saw an interview on the BBC news ‘meet the author’ with Lee Childs. He’s a lovely man and very tall I believe. He is holding Diane back, lol! Can’t wait to read the book, it sounds intriguing. And I do love a strong woman who battles against the odds. Christine recently posted..What Are You Wearing? Karen is astonishing, right? Move over Barbara Walters! Thanks for the kind words, Christine! Good to see you back here! Two amazing women! What a fun interview. Congrats, Diane! I enjoy the genre, and I can’t wait to read the book. They die horrible deaths, but it’s fiction… right? Fun interview! I really enjoyed the book too, and I’m one of those who have not read any of the reacher books (but at least heard of him). My mom’s a big Lee Child fan, so I’ll be sending her a Kindle gift for this! This is great, Jen! 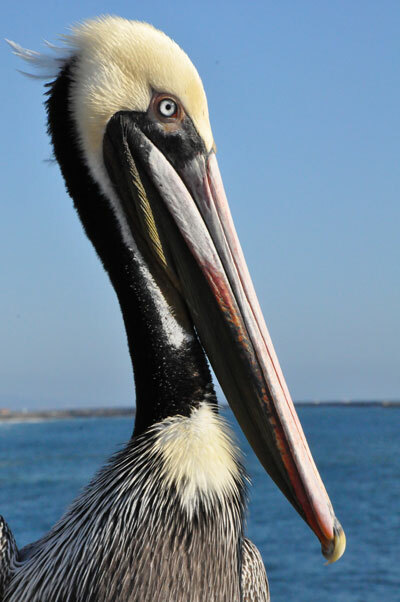 I just mentioned to Robert Gregory Browne on FB that writing a novel is a lot of flailing around in the dark, not knowing whether your baby is going to be well received by readers or not, anxious when you push her out of the nest and wait, watch, hold your breath until she starts to fly…Thanks for the positive feedback. Sooooooo good to hear! Thanks for the kind words Lena and Pru. Hope you will check out the book and let us know what you think. Tim and Deb, Karen truly is amazing, I agree! Sheila, I started writing “Behind the Book” posts on my blog because I love to learn the backstory from writers about their books, too. Glad you’re finding it interesting. And Alan — I’m guessing Reacher isn’t a skier. But what do I know??? Congrats Diane. Looks like a sure winner here. Already on my TBR list. What a fantastic interview! I’ve never had the pleasure of reading any of Lee Childs’s books, but I will be adding them to my TBR list. Diane, your new book sounds absolutely fantastic, and I love hearing about how your day job has impacted and shaped your writing. Can’t wait to read DON’T KNOW JACK! Great interview! By the way, I think I saw Jack Reacher skiing yesterday in Breckenridge. He looks a bit like a taller Tom Cruise, right? Fabulous interview ladies! Big thumbs up. Loved all the details you disclosed and the ones you kept to yourself, enticing us to read the book! 😀 Bravo! What a great interview today, ladies! Gosh, you guys are GREAT!! Love these comments (and suggestions…need to know… hmmmm). Emma, right at the moment we have no plans to release Don’t Know Jack in “dead tree format,” but I, too, love books so it could happen. You’re on our mailing list so we can let you know, right? 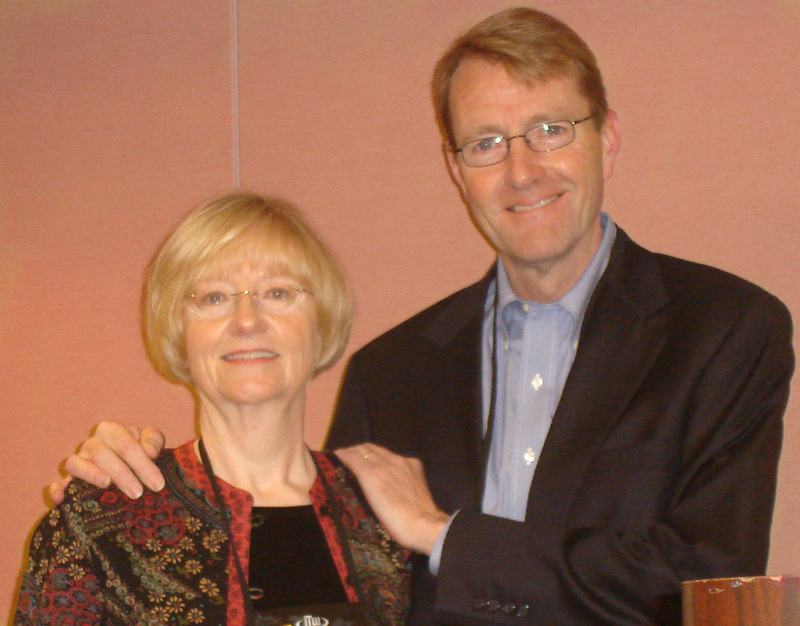 Ginger, you’re right — Lee Child is perfectly charming! It’s the Brit thing, maybe??? Another great job Karen and congrats to Diane on the release of her new novel! 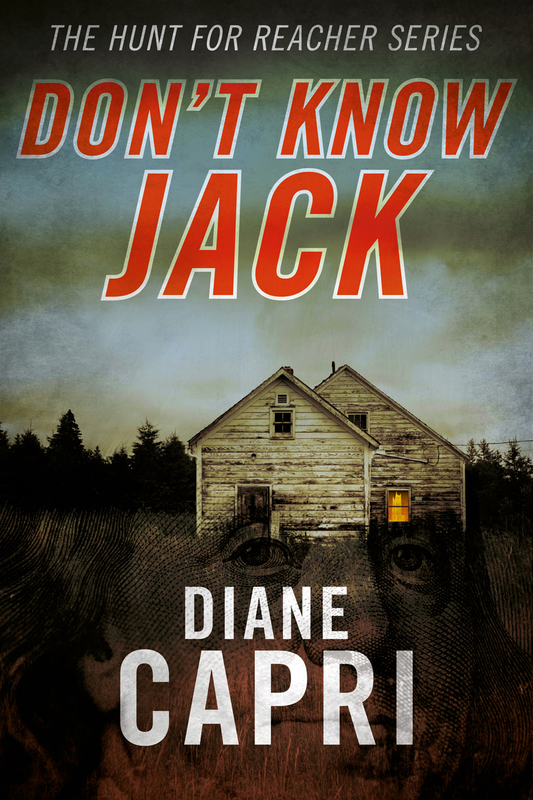 I have read “Don’t Know Jack” and Diane does a great job of building the suspense and keeps you turning the pages! Any fan of the Jack Reicher series will love this installment and eventual series. Fabulous interview!! Really loved the details and you left enough ‘out’ that it will drive me crazy, in a good way. Can’t wait to read Don’t Know Jack. P.S. I met Lee Child the single time I visited NYC. He’s utterly charming! Ginger Calem recently posted..Are coffeemakers smarter than a 5th grader? Fabulous interview, Karen! And it’s nice to see Diane’s smiling face! Sounds like a great premise for a novel and hope you sell millions of copies, Diane! Wahoo!! I definitely like mystery and suspense, and this book sounds interesting. I haven’t heard of Jack Reacher before this, so I hope that isn’t a prerequisite to reading this book. I am also wondering if there are plans to also launch the book in paper format. I am not an ebook reader, but I would love to buy this book. I hope that will be a possibility eventually. Sounds so fun! This interview showed me there’s much I still don’t know about Diane, Jack, and you, Karen, and it’s clear the three of you reveal information only on a need-to-know basis. Hmm, I see Lee Child is forcibly holding back Diane in the photo of the two of them together. Their smiles might fool others, but not me. Diane knows something Lee doesn’t want her to reveal. Could she have hid that information in DON’T KNOW JACK? I’m ordering the book now.